Growing up in predominantly white spaces, I’ve been the Black friend. I’ve been the token. And it is tiring to fill that position. 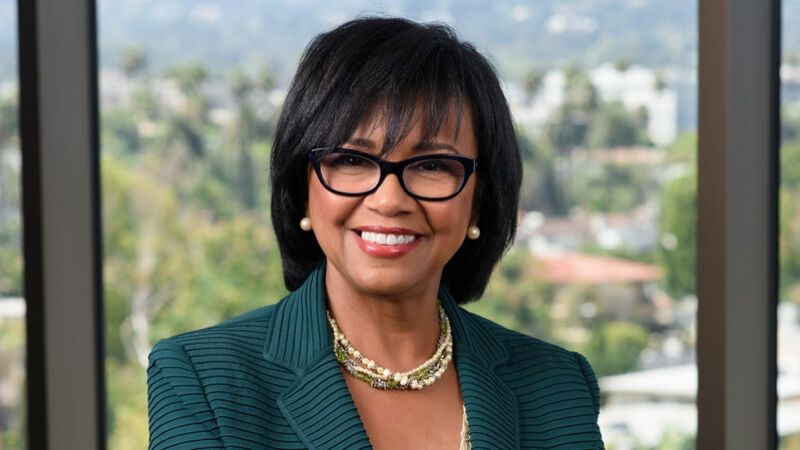 That’s why I feel for Cheryl Boone Isaacs, the recently resigned leader of the Academy of Motion Picture Arts and Sciences, and Hollywood’s tired, overused, and exploited Black friend. In the wake of #OscarsSoWhite, it was clear that Hollywood had a whiteness problem. There was no easy fix for an institution founded on whiteness, but recently elected President Issacs was all set to whip the industry into shape (or at least fix its optics). And she did some good work. She gave good sound bytes and speeches and was even able to marginally increase the diversity of the Oscars voting body. But let’s be honest: we’ll likely never know how much physical and emotional labor it took to hold that position and get work done. In many respects, being the Black friend has a lot of perks. You have access to power and “privilege.” (These privileges are all conditional upon you acting less Black and performing for people who probably are anti-Black themselves). But maintaining that position requires a delicate balancing act. In Isaacs’s position, this likely meant working tirelessly to not piss off white folks and allies who are still invested in whiteness while also convincing them that sharing the wealth will make them richer. We’ve seen how rarely white folks give up their privilege, so I can’t even imagine how arduous this task was. But a good Black friend gets this all done with a smile. A lot of white people value their Black friends because they see them as an access point to minority groups. They think that having a Black friend will automatically bring minority support. So imagine the shock when many Black folx said “Thanks but no thanks” to the recen efforts to diversify the Academy. In her push to add an infusion of minority members to the Academy, Isaacs extended invitations to a large, diverse set of industry players 2 times over. In 2014, her invitation list included folx like Barkhad Abdi of “Captain Phillips” fame, Lupita Nyong’o, Chris Rock, and director Gina Prince-Bythewood (“The Secret Life of Bees,” “Love and Basketball”). Then in 2016, she invited a record 683 individuals, 46% women and 41% people of color. It was a big deal meant to increase overall female representation from 25% to 27% and minority representation from 8% to 11%. But then people like Ryan Coogler, the high-profile director of Creed and Marvel’s Black Panther declined that invitation. Nobody counted on some Black folk being disinterested in supporting her efforts. But they forgot that blackness is not a monolith and we tend to put little trust into institutions. It’s gotta be tough to work that hard for change that small and have some abstain. Now, instead of just closing out her final term, Isaacs has chosen to resign. Since she was about to term out of the position, there was no need for her to step down. She could have still remained active in the organization without leading it. But I believe that the pressure of being the Black friend of the entire film industry became all too much. Isaacs had to bear the burden of #OscarsSoWhite both of the times that all the acting nominees were white. She had to fight to change an industry with antiquated thinking from the inside out with only minor wins. Then, she shouldered that embarrassing Best Picture mix up where La La Land was announced the winner but Moonlight actually won. There’s only so much of a burden that a Black friend can bear, and Isaacs clearly reached her limit. What will be the legacy that Cheryl Boone Isaacs leaves behind? Maybe she’ll be the president that started a trend of diversity. Or maybe she’ll be the first in a long line of high-profile presidents who take a stand in bettering the Academy. Or maybe she’ll end up being a minute aberration with little effect on the industry in the long-run. It’s probably too soon to say. But one thing is certain. She’s a clear cautionary tale of what being the Black friend gets you: stress, pain, and little to no thanks.